Peaceful ambience ideal for friends, family or Business Associates. 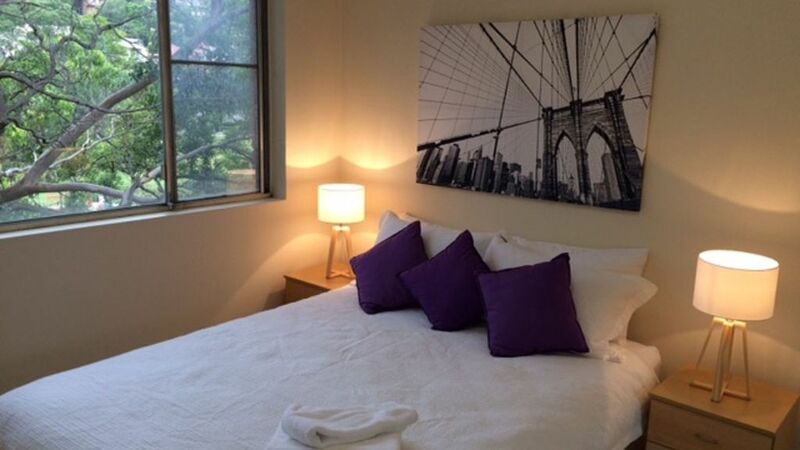 Spacious one bedroom apartment containing queen size bed, roomy living areas, tastefully furnished. Fully appointed with all appliances. Rear facing balcony overlooking native park land. Share laundry downstairs. There is a undercover car park and easy access to North Sydney, Neutral Bay shops (Military Road) and public transport. 1 Queen size bed - sleeps 2 comfortably.